Chantelle Nicholson's comforting parsnip soup recipe is given a creamy lusciousness by coconut milk, all the while staying both vegan and gluten-free. 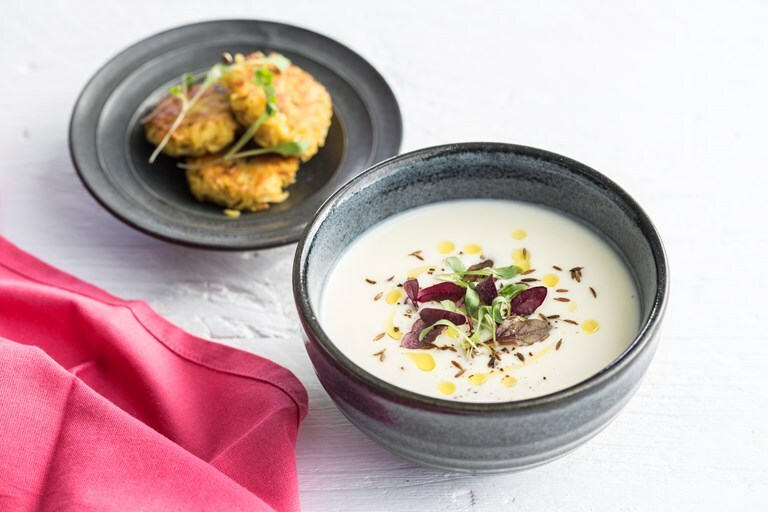 Served with beautifully crispy parsnip bhajis, this dish is the perfect winter warmer. From New Zealand law student to group operations director and now chef-patron of Tredwells in London, Chantelle Nicholson’s hard work and determination has seen her rise through the ranks of Marcus Wareing’s restaurant empire.